The first thing I had to do was lose those sleeves! Next, I added bust darts for extra tailoring across the front, raised the skirt to her true waist (drop waist looks good on so very few no matter how hard we try), and hacked off about 12″ or so from the waist and even more from the skirt. 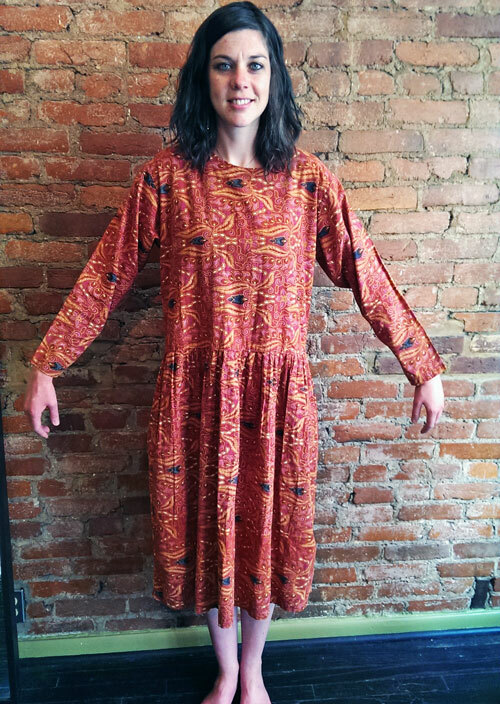 We met again for a 2nd fitting once we could really picture what was going on, and she decided that she wanted the armholes finished to fit perfectly around her armholes, so we added darts to the front and back of the armhole and finished them off. We also raised the hem, fit the back a little further, repaired a few wear-n-tear spots, and added the final touch–the exposed metal zipper. 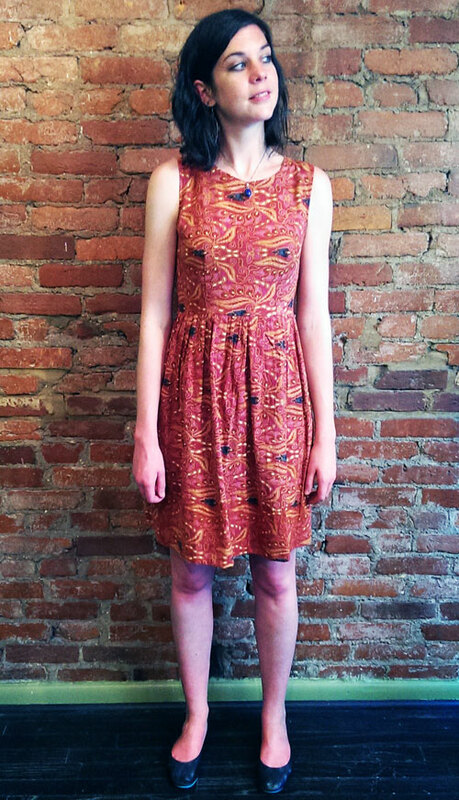 Now Jamie has an adorable, one-of-a-kind summer dress that was literally custom fit to her. You gotta love an exposed zip! 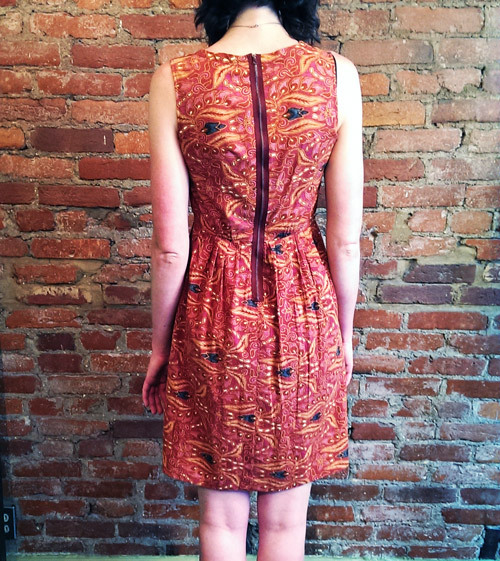 Do you have a dress that has sooooo much potential, but you don’t even know where to start? 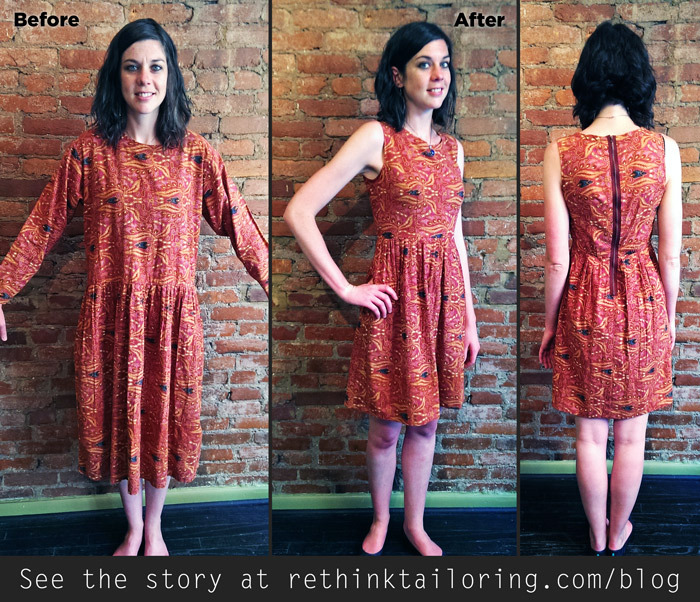 Email me at kristen@rethinktailoring.com and tell me a little about it. I love to brainstorm design ideas of how we can give pieces like this another life cycle!